A Firebelly would visually fit well into the group and eventually it will down to it, because the model looks really awesome. In Warcry, mainly devotees of chaos seem to get at each others throat. Only since the last Adepticon preview warbands of other factions will seemingly join in the fray. 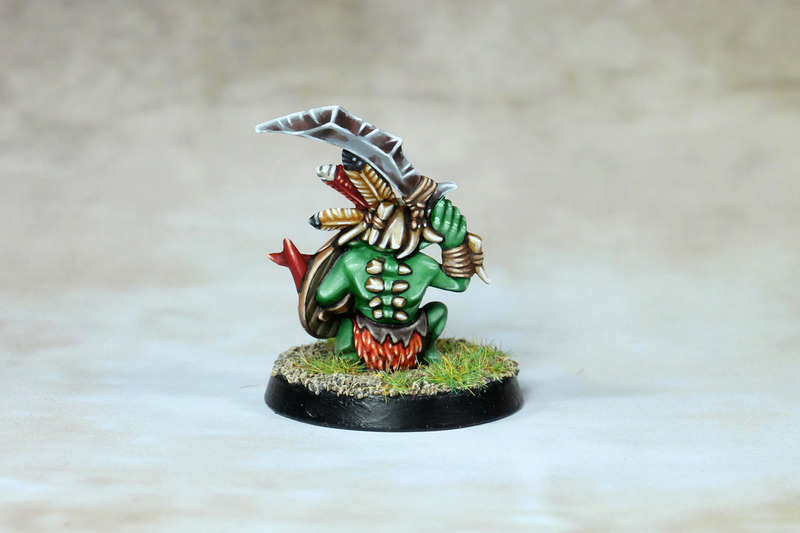 For the time being, however, I'll stick to my original plan of two grots, two orruks and a boss. 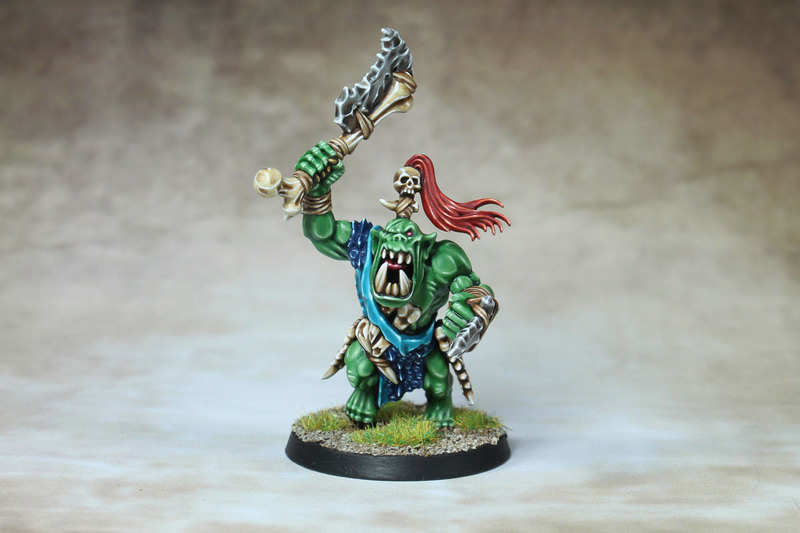 Hm, but material for a "Waaaghcry" would be there - maybe it would be better to dig out another greenskin warband and make it a bit more elite than the Savage Orruks. I'm torn! I like the warband quite well. 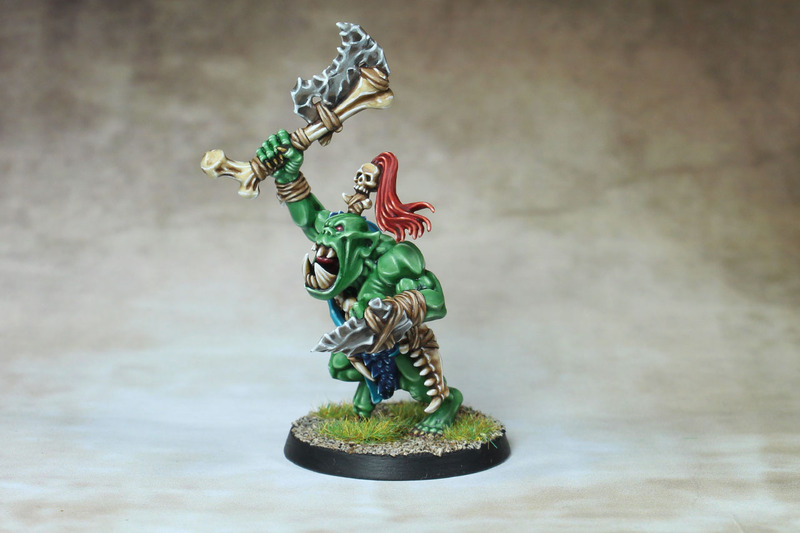 Since I am a fan of self-contained games and the Warcry box does smile at me, therefore I wonder if I should also paint up a bit of terrain and a few more Orruks. The idea behind it would be to be able to play a self-contained game with the content of a single regimental box, or with small different warbands from it. 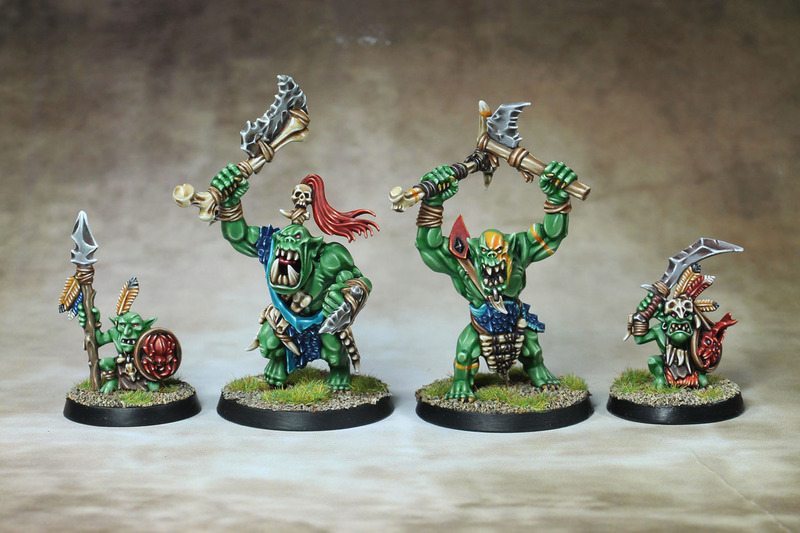 These orruks look so good! 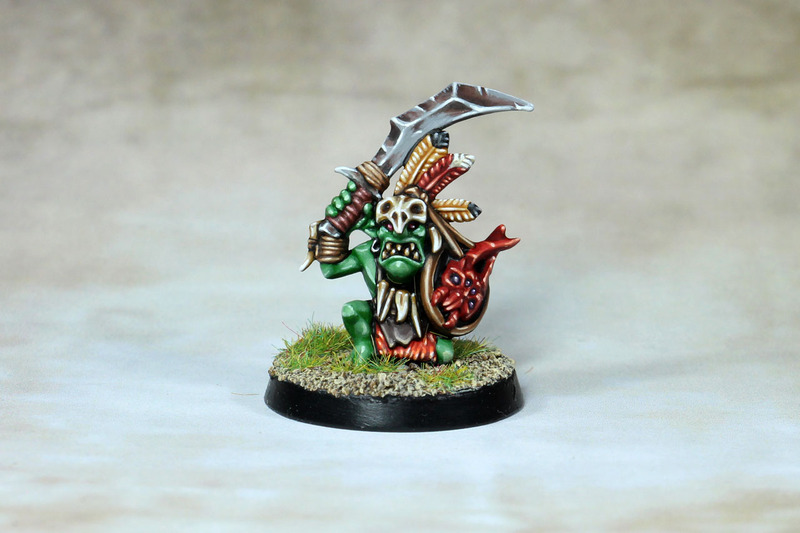 I would say keep painting savage orruks and grots until we know what a Bonesplitterz Warcry warband looks like. I have a feeling it will be a bit like the new Necromunda with lots of room for expansion and pretty easy to add in new things. 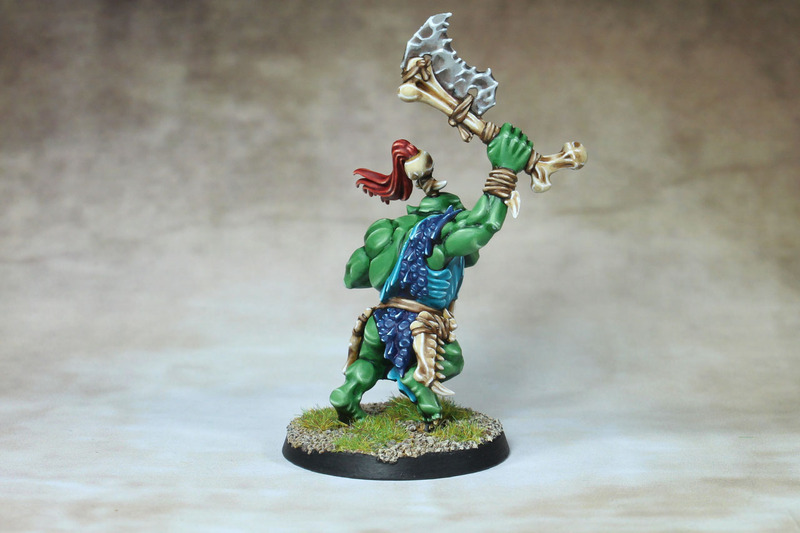 So it is likely you be able to use most of them, and if you can’t you will still be able to use them in regular AoS Skirmish games!